Maruti Suzuki has unveiled two new variants of Maruti Suzuki Ertiga Indonesian international motor show. These two new variants will carry the name Ertiga Crossover and Ertiga Sports, which are expected to come soon to India. 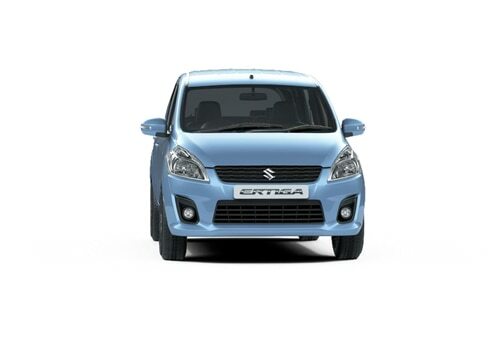 Ertiga is the first ever MPV of Maruti Suzuki and it choose the Indian markets first to launch this multipurpose vehicle and later it was also available in Indonesia. 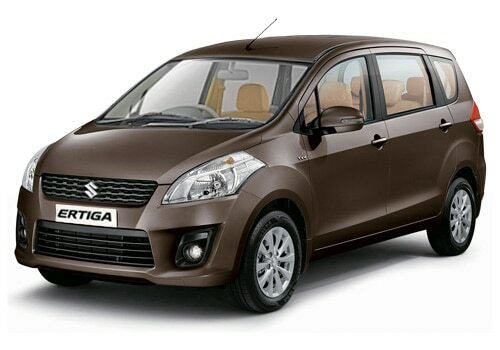 The Japanese car maker has changed the appearance of the Maruti Ertiga that you can observe it in the two new variants. However, the existing version will remain as the same and the company will continue its sales. We can expect that the Japanese car maker will definitely launch this crossover vehicle in India as India has been the most important market for the company since many years. Now the demand for crossovers and SUVs in Indian four wheeler market is at all time high and the Maruti Suzuki will definitely look to cash in the demand. When we look at the Maruti Ertiga pictures, we can clearly observe that the vehicle has got some fascinating looks. Presently, Maruti Suzuki Ertiga crossover and sports is the talk of the four wheeler market as the vehicle looks irresistible amazing of all Maruti cars. It is perhaps the best looking car of all Maruti cars in India that can simply enhance the growing market of the company in India. The upcoming Maruti Ertiga price is not yet announced as the company not officially launched the vehicle in the markets. Today, the Indian car market is flooded with many numbers of crossovers/SUVs/MPVs, which is now attracting global car manufacturing companies. Today, many Asian, European and American companies are planning to launch their vehicles in Indian markets by seeing demand for MPV/Crossovers and other utility vehicles. There is no doubt that these vehicles will do a great business in the country. Maruti Suzuki has delivered fuel efficient vehicles till date and now it is coming up with its first ever MPV that suits to the families and businesses for multi-purpose travelling. The all new Ertiga crossover and Ertiga sports has some outstanding looks with a minor changes in the front and rear view. It also got the new generation alloy wheels that enhanced the sporty appearance the two variants. Ertiga crossover has got some spectacular appearance with LED daytime running lamps, new range of bumper, roof rail, and others that turns the heads on the roads. The company has well designed these cosmetics to the all new Ertiga crossover and sports. We may have to wait for few more days before the company announces its entire details regarding all features and specifications. From its pictures, the vehicle looks superb that enhances your style. I shared that Maruti Suzuki Alto 800 CNG variant caught in lens.